Two satellites of the Japanese Space Agency will detail “record” about 7,000 square kilometers in eastern Serbia over the next five years. The focus will be a space between Bor and Majdanpek, with the aim of determining the ore amount in the waste generated during the 110 years of mining in this region. The goal, after completing the investigation, is to choose the best technology for”excavation” ofthe copper, iron and materials for cement production from these tailings. The product will be completely clean water, which will be able to be discharged into waterways and applied in agriculture. – This project entitled “Research on the introduction of an integrated management system of mining waste”, according to the highest criteria, in which partners are the Republic of Serbia and Japan, our business partners from the land of the rising sunwill fully fund with 4.8 million dollars- says Dr. Stevanovic. – Leading institutions from the Serbian side will be IRM, and our partners are the Technical Faculty in Bor, which operates within the University of Belgrade and the Ministry of Energy and Mining, Agriculture and Environment – adds Stefanovic. The contract, which was realized through the Agency for International Cooperation from Japan, for its part will realize Akita University, Japan space agency and the company “Mindek”, one of the largest mining corporations in the world. 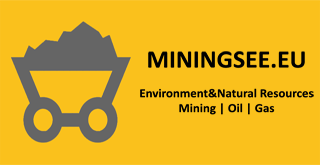 – The project is contracted for five years and it will be defined a precise map of mining waste, for what will be rented two satellites – explains Dr. Stevanovic. – The ultimate goal is to select the best technology, which will be laterapplied to other areas in Serbia that have a similar problem – Stefanovic explained. Within the project, also it is provided the training of 30 Serbian experts in Japan, who will work doctoral dissertation in various fields, on the University of Akitaand specialized trainings for the processing of satellite imagery in the Japanese space agency. – IRM was elected from the 27 world renowned research and scientific institutions from all around the world, who have applied for the contest. A special feature is that our scientific house, within the project, will get equipment worth millions of dollars, while IRMlaboratorieswill be networked for further work with similar ones in Canada and Japan –Dr. Stevanovic does not hide his satisfaction. According to earlier estimates there is more than a billion tons of mining waste between Bor and Majdanpek. Preliminary data show that from these raw materials, with the latest technologies, at prices several times lower than the standard procedures for obtaining the red metal, could be got around – 100,000 tons of copper, whose gross value at current prices on stock exchanges is around – 700 million dollars!